Delivering Excellence in Transportation Since 1920. C.R. 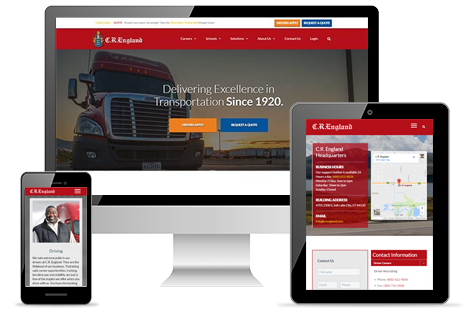 England is the premier transportation solutions company in North America that aims to provide the best-quality service to its many customers in different industries. The Webaholics Team designed their site with a clean and professional look to represent their well-known brand that can be viewed with mobile-responsive capabilities.